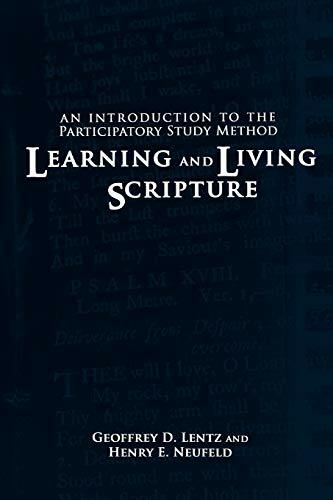 Geoffrey Lentz and Henry Neufeld, a pastor and a teacher team up in Learning and Living Scripture to present the Participatory Bible Study Method, an approach to Bible study that is rooted in the conviction that God can and will speak to us in scripture. They bring together their different experiences and perspectives to present this method of study in a practical, usable way. There are three key elements to this study: 1. The integration of prayer and study 2. Serious questioning and research that is nonetheless within reach of the non-scholar 3. Study in community with both witness and accountability through sharing In this guide you will learn to integrate prayer and scripture reading while also being faithful to the historical meaning of the text and its use throughout history by the community of faith. This method is not just about study and learning facts; it's about letting the God who gave scripture live in and through you, as you learn and share.